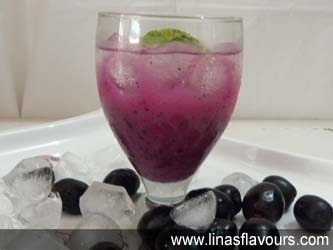 Take blueberries, water, sugar/honey, 4-5 mint leaves, cinnamon powder and blend it well. If there is a need strain it. Add apple juice, ice cubes and mix it well. Garnish it with mint leaves and serve it.